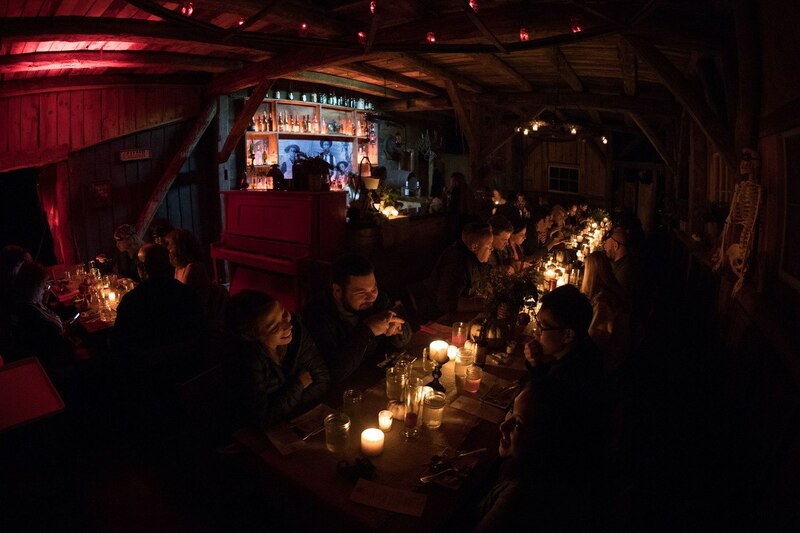 Calleva Farm Dinners continue during our October benefit performance of Markoff’s Haunted Forest, but with a ghoulish twist! 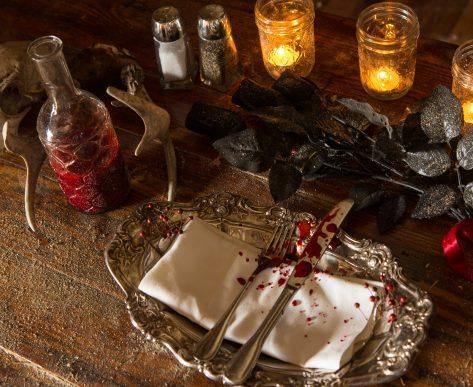 Each Deadly Dinner is a unique evening that includes insider access to our nationally ranked haunt. 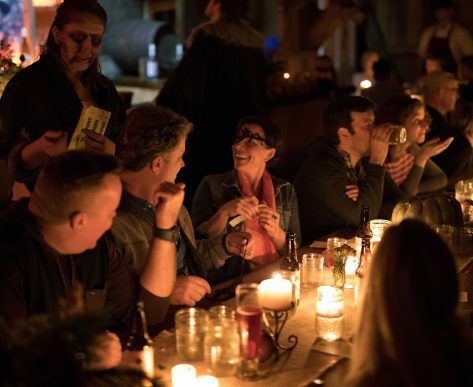 You’ll find your way to Jayne Lane’s haunted saloon, meet up with our cast of ghostly characters, and take a stab at Calleva Farm-raised meats & vegetables all prepared over an open fire. Your dinner includes local libations and unique performances from your un-dead hosts, plus a few weird characters from The Town. Dinner is followed by trail access to Markoff’s Haunted Forest and Haunted Town. 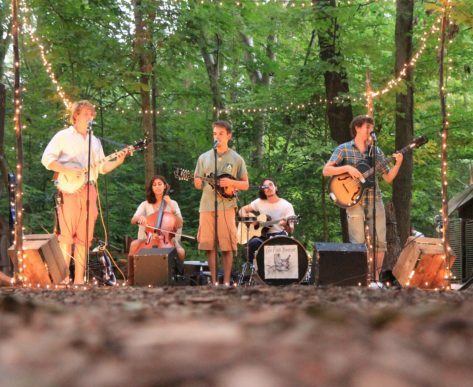 A typical Deadly Dinner evening starts at the Calleva Farm at 7 pm for Dinner, Ghosts & Goblins. Goals: We want to showcase Calleva Farm and our produce and become a link between the Montgomery County Ag Reserve and nearby urban communities. We want to help foodies connect with local growers as well as our own Growing Green farming and education programs. Finally, we want to help improve awareness of the farms, artists & businesses that exist in rural Montgomery County…… and scare you silly! Warnings: : All plates may contain the following: veggies, nuts, gluten, protein, meats (not tofu) and dairy. 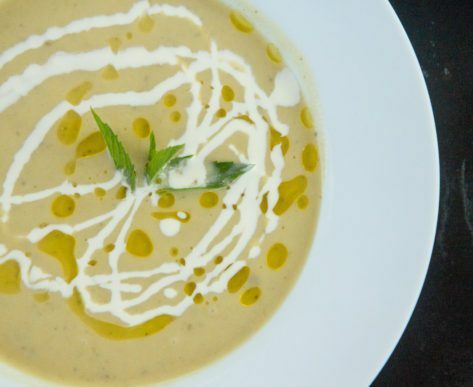 Due to the nature of our meals, we are unable to accommodate special dietary requests. 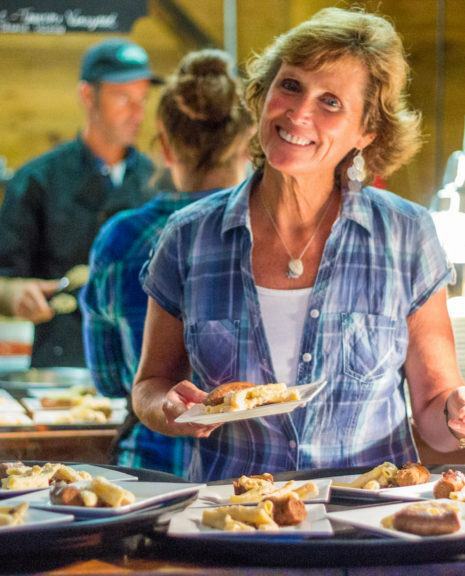 Cancellation Policy: Due to the nature of our events, Dirty Dinners at Calleva Farm require advance reservations. We can not accommodate refunds or cancellations, however you can transfer your reservation to some one else. If you cannot attend the dinner and you wish to transfer your tickets please contact us with the new guest information one week prior to the event (at the latest!). We will only allow transfers with at least one week notice before events. If you want to sell your tickets, a good place to find buyers is our Dirty Dinners Facebook Page. Transfer of funds for your tickets is your responsibility. You can also apply your tickets to another Dirty Dinner for an additional fee. This option is available on a space available basis only.